Don’t you hate it when you buy your kids new clothes and they seem to outgrow them before the end of the season? 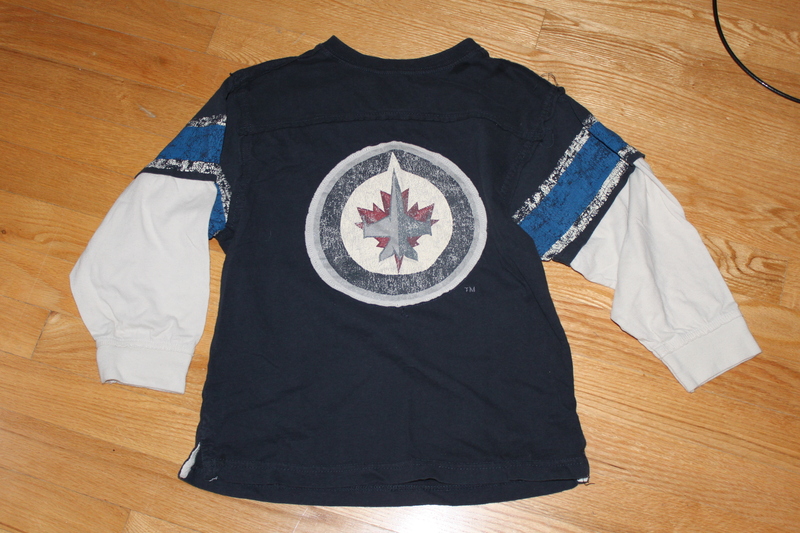 Well, check-out this post and learn how to re-use and upcycle old tops. 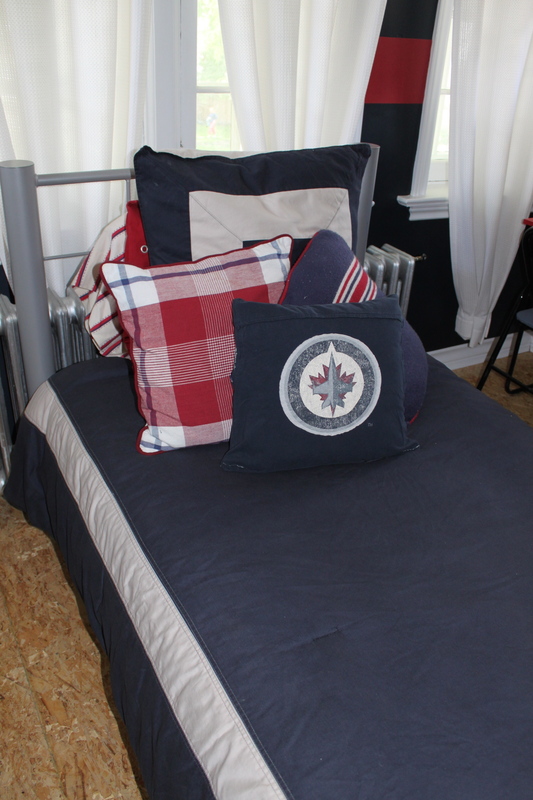 My son has a Winnipeg Jets themed room and I am always looking for new and creative ways to pull his room together. I was so disappointed when he outgrew this cute vintage style shirt, so I hung on to it thinking I might be able to use it in some way. This project literally took me 10 minutes. I simply flipped the shirt inside out and stitched a line across the top to close off the neck hole. I did it in white so you could see it. 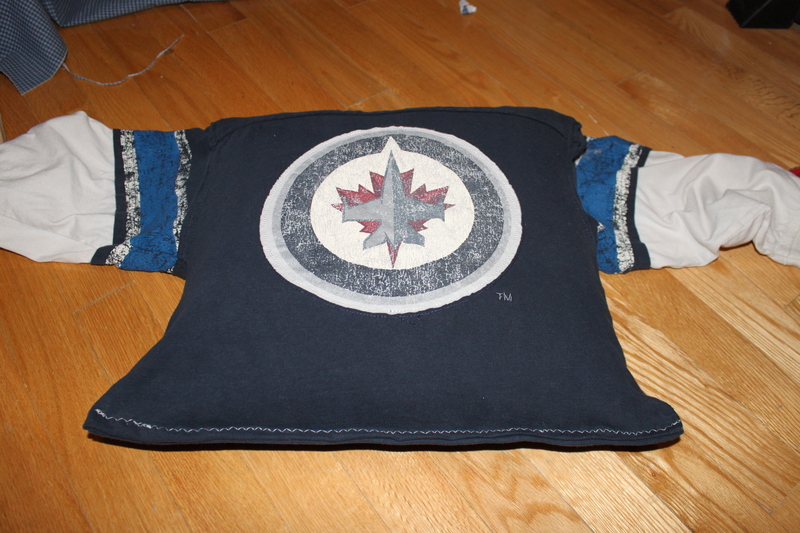 I flipped the shirt back (not inside out) and put a small throw cushion inside (I already had this at home). 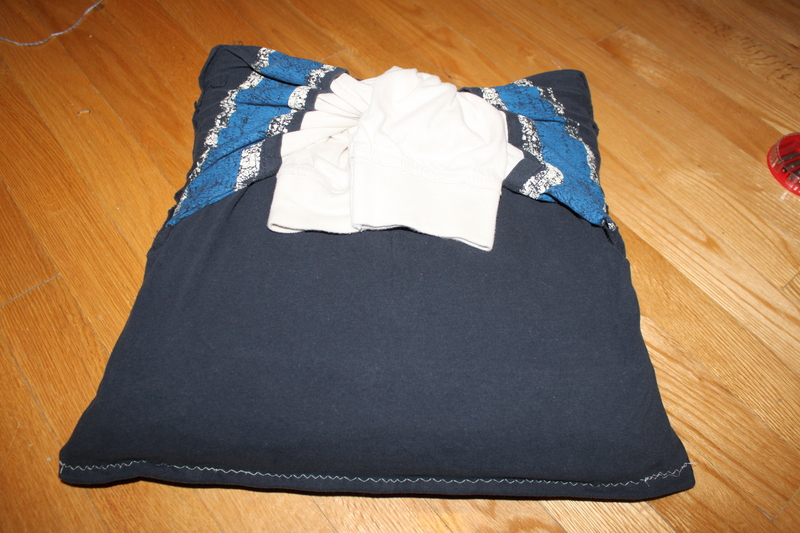 I then folded the extra length at the bottom of the shirt inside and pinched the bottoms together. I didn’t care if the stitching showed for this project and decided to do a zigzag stitch to make it a bit more decorative. This is not sewn well and I even ran out of thread part way through the bottom stitching. On another day I might have ripped it out and did again, but not today! This will do just fine. 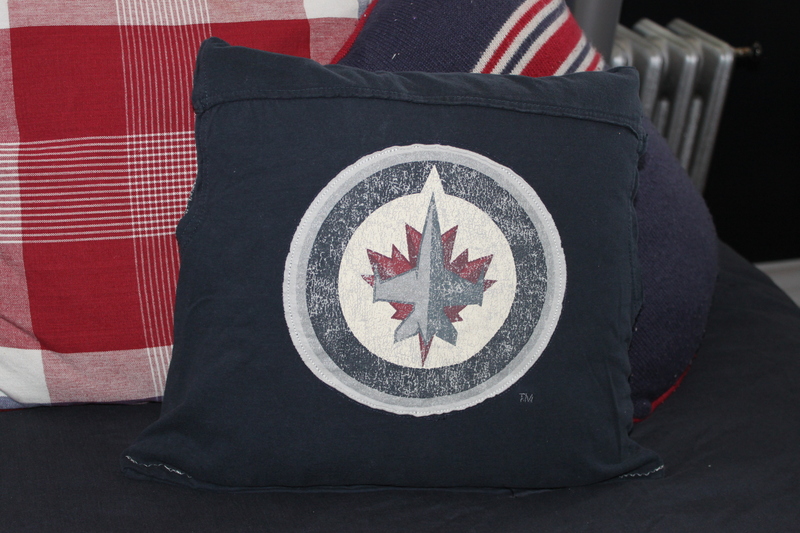 Obviously, the pillow cannot be removed without taking the stitching out. I think I will just toss the whole thing in the wash, when needed. Finally, I took the arms and loosely tied them on the back of the pillow. 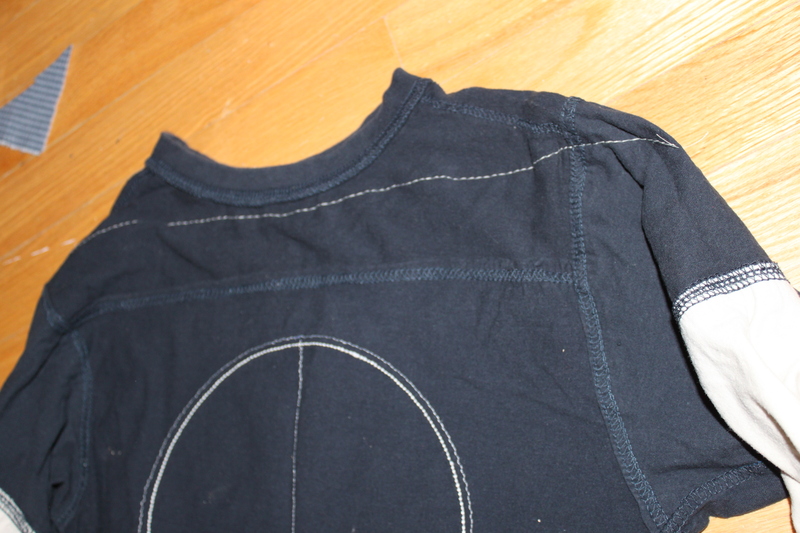 I then added a bit of stitching (hidden under the top sleeve), to permanently keep them tied together.